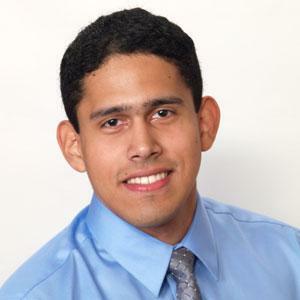 Civil, environmental and geomatics engineering undergraduate student Fernando Martinez has been selected as a finalist for an American Concrete Institute (ACI) Foundation Fellowship. Martinez has been invited to the ACI Spring Convention in Minneapolis, Minnesota on April 14 where the finalists and their faculty advisors will be recognized, and the winner of the national competition will be announced. Martinez’s research proposal, entitled “Fire Resistance of Corroded High Strength Reinforced Concrete,” was funded by FAU Undergraduate Studies and was supervised by D. V. Reddy, Ph.D., professor of civil engineering in the department of civil, environmental and geomatics engineering. The award consists of a $7,000, ($10,000 for the Charles Pankow Foundation ACI Student Fellowship) educational stipend for tuition, residence, books and materials. Awardees registration and travel expenses are also covered for the Fall 2013 Convention in Phoenix, Arizona and the Spring 2014 convention in Reno, Nevada.